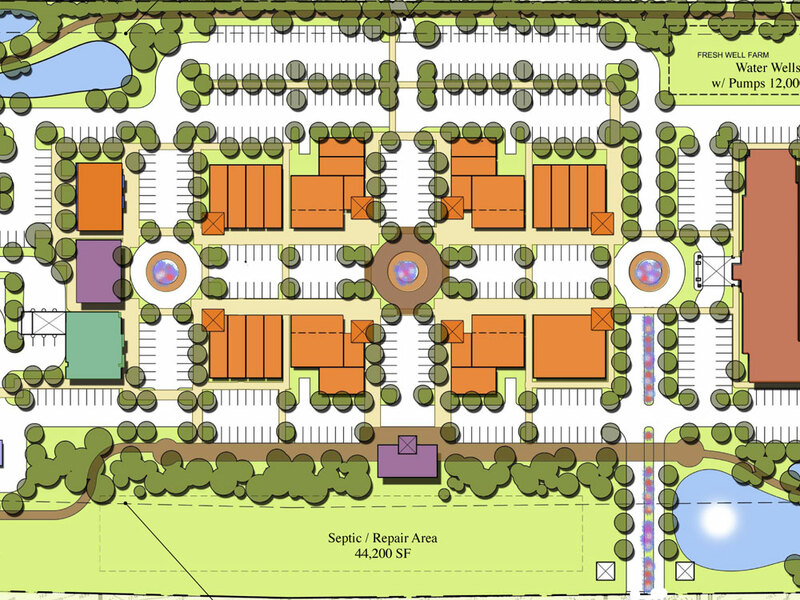 Land Studio created a master plan for a mixed-use commercial development that preserved the rural character of the area along Route 13 in Northampton County, Virginia. A main focus of the plan was to provide safe pedestrian circulation and mobility within the new development. As part of the project, Land Studio produced a complete construction document set for the proposed hotel site within the development, which included site layout and planting design services. Land Studio, pc is an award winning land planning, landscape architecture and civil engineering firm committed to creating healthy livable communities. From natural areas to core urban areas, from large scale planning issues to site specific design, we bring together the unique needs and desires of our clients with the site's inherent properties to create enduring quality. Our mission is to create places that revitalize communities, promote a sense of place, and improve quality of life through understanding, discovery, and collaboration. Land Studio will have a lasting, positive impact on people’s lives, in the communities in which we serve, and in the staff in which we mentor. Land Studio, pc is an equal opportunity employer.